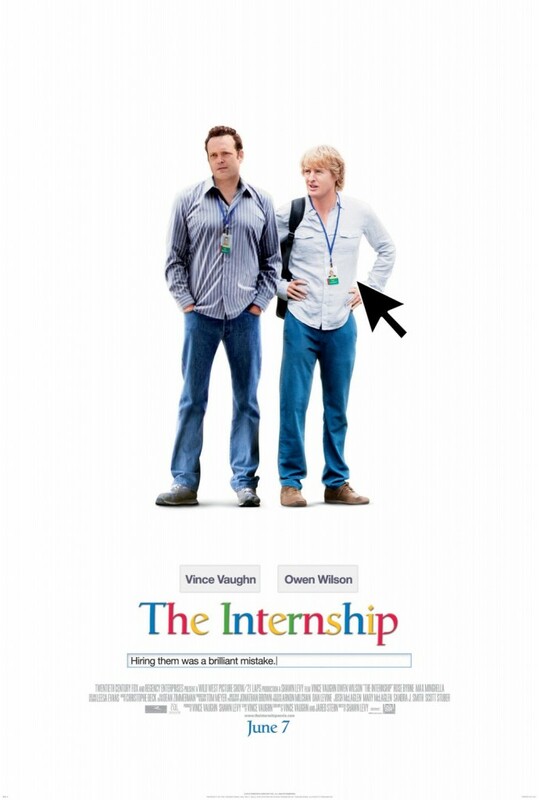 Movie critics have been poo-pooing on Vince Vaughn and Owen Wilson’s onscreen reunion in The Internship. Movie critics are idiots. Anytime you throw these two guys together onscreen you’ve got the potential for comedy gold. I’d listen to them provide color commentary on a chess match for two hours. The fact is, this film is funny. Great actors can turn a run of the mill script into something entertaining. Likewise, a great script can be doomed by bad acting. You won’t be confused by which one this is, since Vaughn and Wilson carry it on their backs. Nonetheless, it’s a worthwhile watch and if the critics (present company excluded) can loosen up for a minute, they would see it’s a decent flick. The guys are two old school salesmen out on their hides after their company closed down. If I was going to nitpick, I’d say the premise that a watch company closes it’s doors because of “technological advancements” is absurd. People still wear watches and always will. It was a sloppy albeit, minor point in the plot, but again don’t go see it if that’s something that would ruin the film for you. Basically the two of them weasel their way into a Google internship program where they compete for a select few job offers at the end of it. They face up against the best and brightest of the younger generation and need to find creative ways to show their value through “life experience” since they don’t know a damn thing about Google or technology. The fringe players in the film are solid, if not underwhelming. As you’d expect they are walking stereotypes of the younger generation and tech geeks. They all serve a purpose but ultimately are just there to make sure they offer up good fodder for Vince and Owen. You’ve got the token love story mixed in to give a little dimension to the story, otherwise it’s really just two old dudes trying to get an internship at a tech company. The magic lies with the chemistry between these two who seem to perfect the buddy comedy genre. There’s also a couple of nice cameo appearances thrown into the mix from Will Ferrell and Josh Gadd. Overall this is good comedy flick that’s worth the view. Let’s hope this means more to come from the classic team of Vince Vaughn and Owen Wilson. Interesting Cameo Appearance: B.J. Novak (aka writer, director, and producer, in addition to the hilarious Ryan Howard from all-time great sitcom The Office) as an interviewer to Vince Vaughn and Owen Wilson when they apply for the Google internship. Nick: You closed the company? John Goodman: Everything’s computerized now! Nick: People have a deep distrust of machines. Have you seen Terminator? John Goodman: You are great salesmen, but it’s too late for you guys. And I’m going to say something harsh now. Billy: Now you’re going to say something harsh? Nick: We’re looking at some sort of mental “Hunger Games” against a bunch of genius kids for just a handful of jobs. Graham: You’re interns? Shut up! Graham: You’re so old though! I thought you were… important. Lyle: I’m Lyle one of the team managers. [raises his fist] Pound me. Billy: Normally you just put the fist up without the words, it’s all that’s necessary. Lyle: Come on bro, fist me, get up in there. Nick: That’s definitely not right. Nick: You guys gotta start believing. Billy: This reminds me of a little girl from a steel town who had the dream to dance. She had to strip down to nothing, she had to sit in that chair and arch her back and she reached up and pulled that chain to nowhere and doused herself with water! Intern: Flashdance? You’re talking about the movie from the ’80′s? Billy: You’re damn right I am!